Rick’s last unpublished novel, WAITING, to be published in late 2017! March 30, 2017 / goathunter / Comments Off on Rick’s last unpublished novel, WAITING, to be published in late 2017! Important news about Rick’s last unpublished novel, WAITING! A sold-out limited edition will be available from Cemetery Dance Publications this year, BUT – ebook and trade paperback editions will be published in October (of course) from Haverhill House Publishing! Afterword by Christopher Golden and cover art by Glenn Chadbourne, and an intro by Holly Newstein. 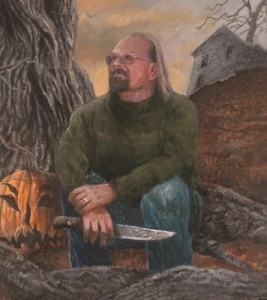 WAITING is a classic Rick Hautala book, with the claustrophobic, visceral creepiness that characterizes almost all his novels. More details to follow.